When investigating the options available to you with regard to a mortgage one of the most important decisions that you will be required to make is whether a fixed-rate (FRM) or adjustable-rate (ARM) mortgage is the most suitable for your situation. The most common choice is the former, but the right choice for you will depend entirely upon you own financial circumstances. The fundamental differences between FRMs and ARMs are strongly alluded to in their titles. In basic terms, the most important of these differences regards the rate at which you will pay interest on the loan; with a fixed rate mortgage this rate will remain constant throughout the term of the loan, while the rate on an adjustable rate mortgage may fluctuate. There are a number of potential advantages and drawbacks of each of these arrangements. As has been mentioned, fixed rate arrangements are the most popular. This could well be because they are the most widely available and marketed, but their popularity is likely also to be determined by the fact that they give the debtor definite knowledge of how large their mortgage servicing outgoings will be each month, for the entire term of the debt. This can be vitally important for financial planning, and can help to give a sense of security and stability. Homeowners tend to value the protection that is offered by an FRM, as they do not have to worry about the Bank of England raising interest rates; their rate will remain the same, regardless of any more widespread financial developments. 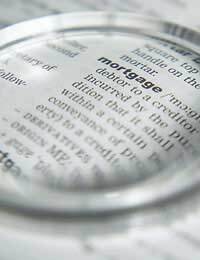 There are numerous downsides to fixed rate mortgages, however. Perhaps the most immediate of these is the fact that, although the rate will remain the same, it will be fixed around the general interest rate in force at the time that the mortgage is taken out. As a result, if interest rates are high when a prospective homeowner wishes to take on a mortgage, they may find it impossible because of high initial monthly payments. Similarly, if rates were to fall during the term of the mortgage (which is perfectly realistic, bearing in mind that agreements commonly run to 40 year terms), the benefit of this would not be passed on to the debtor. An adjustable rate mortgage avoids many of the downsides of an FRM, but presents some of its own problems. In the first instance, homeowners with a regular income which covers their outgoings with little to spare will generally be put off ARMs as they allow no room for definitive financial planning. If interest rates were to rise suddenly, many debtors would not be able to afford the increase in mortgage payments. Similarly, the lack of knowledge about one’s impending financial situation can be disconcerting. However, an ARM often suits homeowners who can afford to take a few more financial risks. If you are confident that your income is such that you would be able to afford an increase in your payments (and you should bear in mind that this increase may continue even if interest rates fall again; most ARM agreements involve rate adjustment at quarterly or four-month periods), then an ARM would also allow you to take advantage of any fall in the interest rate. As a result, if interest rates are high at the time at which you wish to take out the mortgage, an ARM could be a cost-effective way of borrowing money to buy a house.